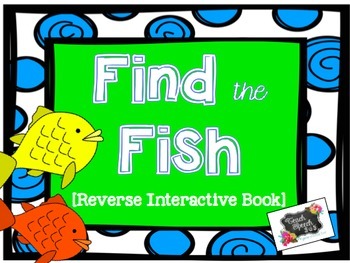 This reverse interactive book and accompanying activities can target a variety of concepts, including: WH and yes/no questions, retelling, colors, sentence formulation, and prepositions. 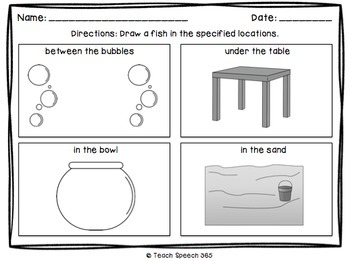 Instead of putting items in the book, your students will be taking items out of the book and placing them on a separate page to put the fish back in the ocean. Set Up: Print and laminate the book (pgs. 3-15). Put the pages together with binder rings. Affix the interactive pieces (pg. 17) into the book in the appropriate places. It doesn’t matter what color fish you place on each page. Place 10 pieces of velcro on pg. 16. 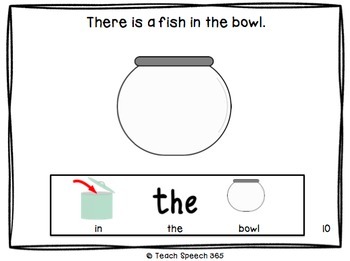 Students will take the fish out of the book and add them to pg. 16 as you read the book. There are 12 yes/no question cards and 2 worksheets.